The person doing the searching may have different intentions, but ultimately they know what they want and they’re looking to fulfill their needs locally using a search engine or app. The search could take place on a computer, tablet device and of course “on the go” on a smartphone. If you don’t have a strategy to position your local business online, consider that local search is “an enormous market”. As the number of handheld and tablet devices grows, the intentions of consumers will certainly change and expand over time. But one thing is for certain, the growth of these devices makes it much easier to search anytime, anywhere and get data back from a massive array of sources. Making sure your business is there when people search is going to be key. 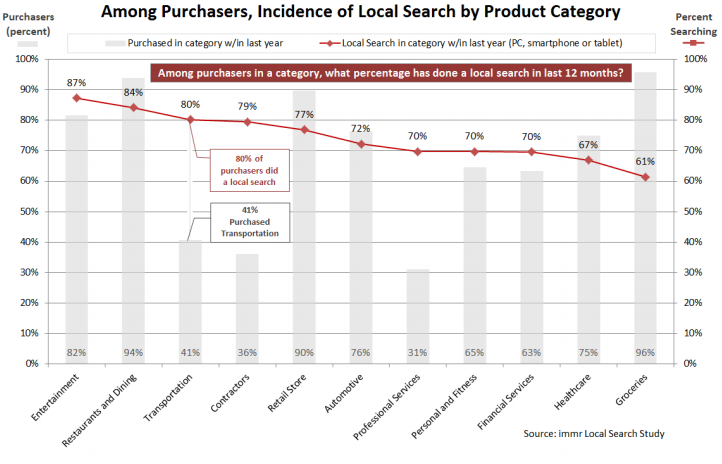 Sidenote: Consumers that own a smartphone and tablet are 40% more likely to search locally than those without. Sidenote #2: Forrester estimates that tablet sales will “eclipse” laptop sales by 2015. So we know that being found is the first big hurdle, but the big question for local businesses is how do consumers really use local search? Here are some key takeaways that I thought were highly relevant and important for local business owners to consider. You can download a full report provided by YP.com here. To confirm, local search is a useful tool for consumers for most, if not all, of the products and services they buy. 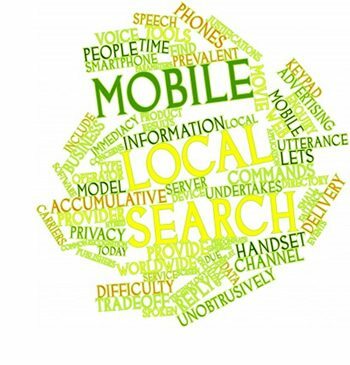 Local search is increasingly an indispensable resource for consumers. Not everyone finds their information on Google or other search engines. There are potentially hundreds of websites, apps, portals and directories that consumers use to find local business information. beyond their usual boundaries, sometimes considerably further. 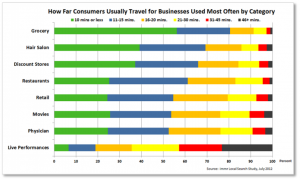 There are many reasons that compel consumers to travel distances. Consumers’ definitions of “local” vary by type of product and service. Given consumers’ extensive reliance on local search, businesses must continually review and tweak their “presence” on local search platforms. Confirming that search results satisfy searchers’ needs and position the business effectively is vital. Searchers use a wide variety of services and websites including various search engines, local search sites, portals, directories, social media and review sites. Social networking is an integral part of consumers’ lives. In the YP survey, 6 out of 10 visit a social networking site at least daily, and 1 in 3 visit multiple times a day. 7 out of 10 smartphone owners use location-aware mobile apps. Providing unstructured data (such as menus, reviews, etc.) is important to consumers. app in the last 30 days. Accounting for over half of local search volume, heavy users – or “Avid Users”, as we’ve called them – are a crucial segment for businesses and the industry as well as a harbinger of the future.